Brant County’s toxicology and geo-engineering experts, along with CCOB’s Prof. Howard, contaminant hydrogeology expert, visited the Paris Pit site on Watt’s Pond road on Oct. 20. The visit, which included also the Telfer and Gilbert Wells and the Pit site’s connection to the Grand River, was part of preparations for the Environmental Review Tribunal Appeal Hearing starting December 12th. Their October 28th detailed statements and submissions added considerable strength for a successful Appeal outcome to protect the quantity and quality of the water source of our community. Shockingly, on the 25th, just a few days after the Experts’ site visit, Executive Members of CCOB were called to a meeting by Council Staff to inform CCOB that the staff had been negotiating with Dufferin since July and had agreed terms. The negotiation was done without any notification to or consultation with CCOB as their Appeal partner. Also neither to the County’s own experts and without waiting for the experts’ evidence. The draft terms since seen by CCOB fall far short in their protection of the water quantity and quality compared to those recommended in the Experts’ reports. The reports answer fully the shortcomings in the original Ministry of the Environment Conditions as pointed out by the Review Tribunal when it allowed the Hearing. On Friday 18th November the Clerk to the Council informed CCOB that the Council had ratified the final deal at a special in-camera session of Council on Monday 14th . CCOB had requested to present at an open session before the beginning of the in-camera session but was refused. Details of the deal have not been released. Our legal team, CELA, (Canadian Environmental Law Association) have advised us to continue to move forward with our Appeal given the strength of our case. We have the opportunity right now to set a precedent for both Paris and the entire province of Ontario. No one wants to see another Walkerton or a Flint Michigan. We all like to think it cannot happen here. The people in those communities did not think it could happen there either and trusted their local leaders and governments to prevent it. Sadly they we disappointed and lives were lost. Atrazine, one of the agrochemicals which has been used for many years on the soils which are being extracted, is one of the risks factors for contaminating our water given the vulnerability of the Paris Pit on a wellhead protection area and in such close proximity to the Grand River.One of the concerns we have with Atrazine here is that studies have shown it contributes to breast cancer, pre-term births, infertility, non-Hodgkins Lyphoma and other health issues particularly for women and children even with low dose exposure. In order to prevent any of the above occurring here CCOB must move forward ALONE with the Appeal. This is five years of work, volunteer work, and contributions by the community and we are at the cliff's edge. We have built a very strong case and we are left paying 100 per cent of the trial. We need your help. This is the final move. This is what everyone has worked for and our citizens have donated and signed letters and attended meetings for. This is for all of us and our children. Realistically we need $100,000. I know that sounds out of reach but as a community we can do this. All we need is for 100 people to contribute $1000.00 or 200 people who can donate $500.00. We know that’s a lot. Give what you can. We can also do this in installments as we only have to decide that we will move forward and let our legal team know by Monday at 3:59p.m. to accomplish this. It has been a lot of work to keep up with all of this and we are working hard to repay the expenses from this hearing. The total cost for legal and experts now that all of the invoices are in came to $132,765. Since we have raised $104,193 this leaves us with $28,572 left to pay. The following is a quick summary of our experience. For more detail click the link below. The water supply for our growing town is at risk. 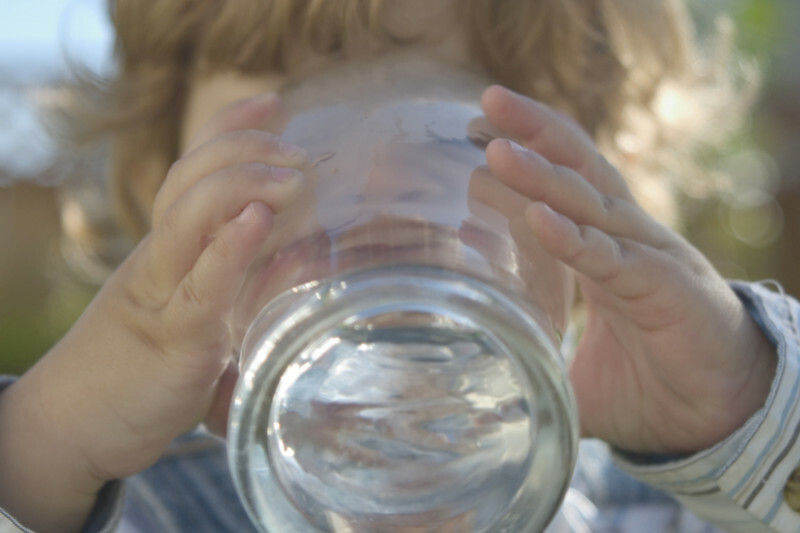 Science shows that potential contamination of your water could drastically increase your risk of breast cancer or complications with new borns… and many other serious health effects. And we just witnessed how a ruling judge ignores compelling science in favour of industry expert testimonial. The CRH witness coached the judge on how to read science… if she needed a science lesson then she wasn’t qualified to pass judgement. … the judge found this acceptable & preferred his his testimony over the witness who was the advisor for the judge in the Walkerton Inquiry. Meanwhile the sister organization of the Environmental Review tribunal, the OMB, was disbanded due to it’s bias towards industry. & they are robbing us blind. Your water is at risk!! Your health & your family's health is at risk!! YOU have to stand up & protect your water. It has to be everybody. We want to begin by thanking everyone who has contributed to the efforts to protect our water. It's been a long uphill battle but it has been worth it! Now that the case has been presented and we are awaiting the decision from the tribunal chair, it's time for us to focus on raising the remaining funds. The case went very well for us. Every day seemed to bring another victory for us and showed the weakness of the other side. A huge surprise and victory for us was when it was revealed that the other side’s entire case was flawed. The MOE's case fell apart when it was revealed in the final week of the case that their pesticide study was flawed. They had claimed that there was no Atrazine detected in the water at the site but the expert who wrote the report didn't notice that Atrazine was actually detected in all of the samples taken. The science that shows that Atrazine is poisonous to humans is overwhelming and as Dr. Forkert, the CCOB’s toxicologist, pointed out, there is no safe level of Atrazine. That's why it was banned in Europe so many years ago. Even China regulates it more than Canada. Atrazine has been making headlines recently & people are finally catching on to how harmful this poison really is. Testing has also revealed that Toronto's & Montreal's drinking water is contaminated with Atrazine at levels considered unsafe in many other countries. This has sparked concern for those affected and now there are several petitions aimed at banning Atrazine. Awareness is building. During the trial it became obvious that our experts needed to be present during the testimony of the opposing side’s experts. We had originally budgeted only for their time on the witness stand. But the presence of our experts in the room had a powerful impact and enabled our lawyers to receive input and direction for their cross-examination which furthered strengthened our case and highlighted the weakness of the other side. The original budget was for $80,000 but that jumped up to about $135,000. Much more than we expected and certainly much more money than we have. Once the case began, it was decided to give it our very best shot and this meant making the difficult decision to spend the extra money. Failing to do so could have resulted in a cost award and we definitely didn't come this far just to pay their legal fees. Our focus now is on collecting an additional $40,000 or more to pay off the experts we hired for this case. Watch for our fundraisers coming up over the next few months. The next one will be on Sat. April 22nd. We have teamed up with Domino’s Pizza for some special deals and half of the funds raised from these specials will go towards CCOB's legal costs. If you have any ideas of how we can raise these funds, know somebody who could make a contribution or would like to help raise funds please let us know. We look forward to a judgement coming down that supports our efforts to protect our drinking water. I think the real story here is how a small town is coming together to protect our water. I really want to thank everyone, and the whole group here at CCOB want to express our thanks to you for all of your support and encouragement. We recognize the sacrifice many of you made to make this contribution. We truly appreciate all of your efforts and your faith in us. We're so close... We've managed to get an extension & our outlook is pretty good. To proceed we have to be able to guarantee that we can pay the experts. We still need another $25,000 to move forward and we're still collecting pledges and donations. Many of the citizens that we have spoken with are furious with the County's move. Rightly so. I'm with you. I also believe that this adds further strength to our case... if we (CCOB) keep our cool and utilize the situation then we will win this case. ... but we can't do it without out your support. Anything you can do will be awesome! I really wish I could share more. Mark your calendar for Monday Dec 12. That's the 1st day of testimony for Dr. Forkert (if we're able to go forward) and you'll have the opportunity to hear for yourself how bad these chemicals really are. Thanks so much for all of the contributions & pledges. We're well over half way there & focused on closing the gap. Proceeds from the online auction held by the Rabble Rousers. Thanks for all the effort & support!